When I was growing up, my family owned a small cottage in Rhinelander, Wisconsin. I hated staying in it, it had no running water, you couldn't keep bugs out, and there was no air conditioning so if we went during the summer, sleeping was pretty much impossible due to the heat. I have no nostalgic memories of that place specifically, and the fact that we sold it a few years back doesn't really bother me. However, when I was much younger there was a movie theater in downtown Rhinelander owned by a husband and wife, and the only employees of the place were themselves and a couple of teenage kids to clean up and help out. One screen, whatever big movie was playing at that time would be on it, so when you bought your tickets you didn't have to scan a big board above you to pick what movie and what time and whether or not you wanted to wear glasses while you watched it. You would just say "Two please". The husband owner would rip the ticket for you and then hand you the stub, and you would walk through to the concession stand, which was being run by his wife making fresh popcorn. The last film I ever saw there was Saving Private Ryan. I remember walking out of the theater still in awe over the film I had saw, not looking back at the quaint little theater that had given me so much joy for years. By the next time we visited, a giant 20 screen multiplex was up and running across town and that wonderful little theater was closed. I miss that place. I wish I could go back and experience that last screening again so I could take it all in and appreciate the moment. 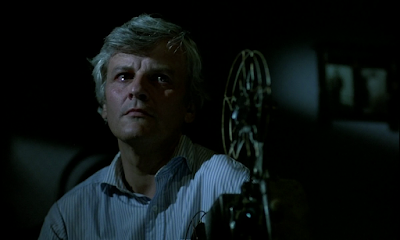 Cinema Paradiso brings these type of stories out of me. It is a wonderful tribute to friendship, memories, nostalgia, love, and film itself. 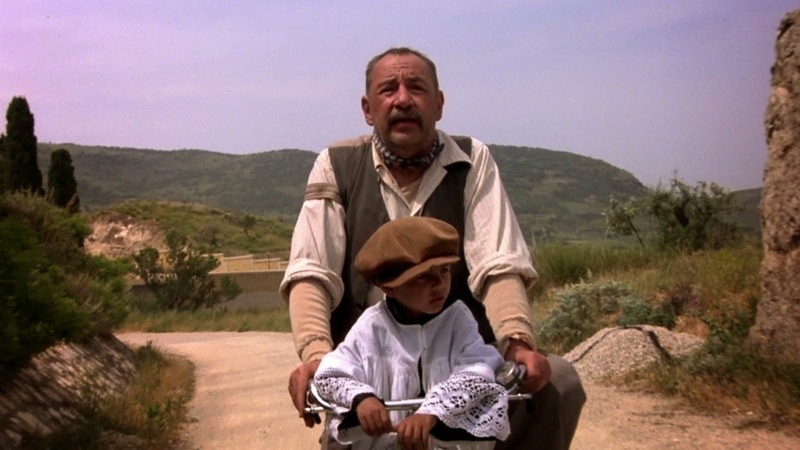 Every single time I watch Cinema Paradiso, I still feel the same level of warmth and comfort that I did the first time back in a film class senior year of high school. Every single time I see Toto riding on the front of Alfredo's bicycle, I smile. Some films are fun and entertaining but they leave you cold and lack any real importance. 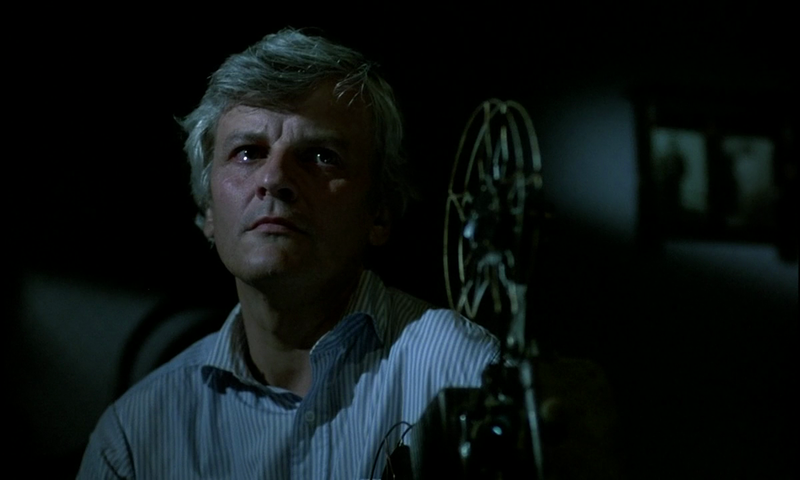 Cinema Paradiso pushes all the right buttons to make me feel something significant, even after it is over.